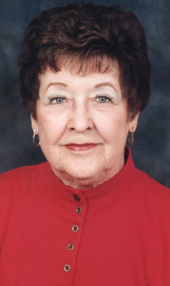 Services are scheduled for 10 a.m. Friday, Nov. 30, at First Evangelical Presbyterian Church for Mildred Ruth Stockton of Artesia. Stockton, 97, passed away Thursday, Nov. 22, 2018, at Artesia General Hospital. Daniel Phelps will officiate the services, with interment to follow at Woodbine Cemetery. Mildred was born Jan. 29, 1921, in Kress, Texas, the daughter of Daniel and Allie (Burns) Springer. On Feb. 27, 1941, she married George S. Stockton in Clovis. Mildred was a secretary at the Artesia Public Schools Administration Office and a member of First Evangelical Presbyterian Church. She was very active in P.E.O., Chapter J and Bridge Club. Survivors include son Dan Stockton of Phoenix, Ariz.; nephews Kelly Springer and Kent Springer; and niece Kyla Smith. She was preceded in death by her parents and brother, D.M. Springer.